We just posted a collection of photos from our trip through South Dakota. It includes shots from the Black Hills, Mount Rushmore and the Badlands. 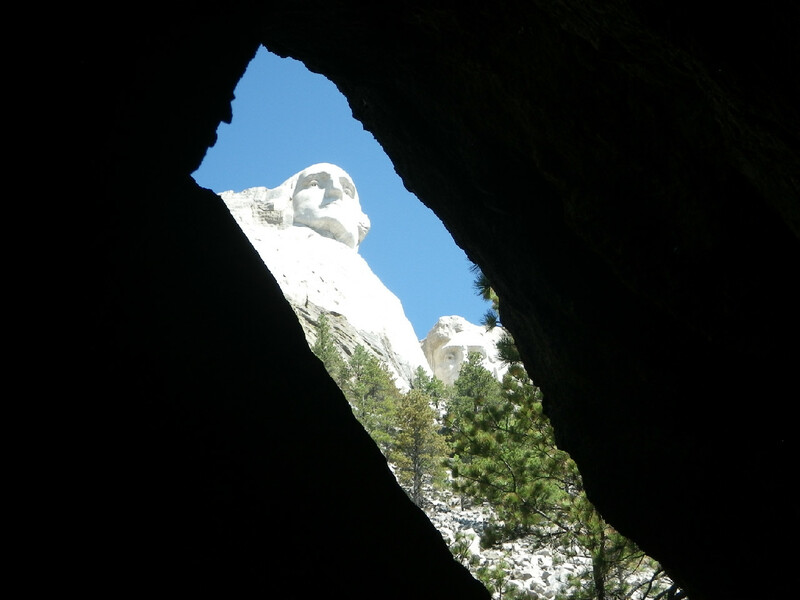 Above is a shot of Rushmore from a small cave along the Presidential Trail. For more photos of the trip, try our gallery. MAMMOTH CAVE, Ky. — Mammoth Cave, the longest known cave in the world, just got mammoth-er. Park Superintendent Sarah Craighead and Cave Research Foundation President Charles Fox announced Mammoth Cave now totals 400 miles long, which is up 10 miles from its previously recorded length. The revelation came Friday (Feb. 15, 2013) at the Mammoth Cave Science Symposium. Monday’s search efforts focused on an area believed to be where the two snowboarders had spent Sunday evening. On late Monday afternoon searchers had a visual of what they believed were the missing snowboarders. Because of difficult terrain and low visibility, they were not able to make contact with these individuals before nightfall. Before you leave home check and heed local weather forecasts, realizing weather can change for the worse in a very short period of time. Know your experience and ability to survive in an alpine environment and don’t exceed. Always carry survival gear with you, including the 10 essentials. Bring extra clothing and food in case you have to spend the night out. Always leave word with someone on the specifics of where you’re going and when you expect to be home. It is always safest to not travel alone. While electronic locators and communication can be helpful, they cannot be always relied upon while in the Mount Rainier backcountry. Remember you need to be responsible for your own safety. Searchers at Mount Rainier National Park were not able to locate two missing snowboarders today before night and poor weather drove them off the mountain. Derek Tyndall, 21, and Thomas Dale, 20, called 9-1-1 at 4:30 p.m. on Sunday, Nov. 11 to report that they had become lost in a winter storm while descending from Camp Muir. They had winter gear, smart phones, and a compass, but no overnight gear. The two checked in by cell phone this morning and reported that they had made a snow cave for the night and were cold but in good condition. The weather overnight was severe, with high winds and 20 inches of fresh snow at Paradise. Based on landmarks the two were able to describe in the fog, and information from their cell phone before the battery died, searcher focused on an area around McClure Rock at about 7500 feet elevation. A total of 28 people participated in the search, including 18 members of Tacoma and Olympic Mountain Rescue and two search dogs from Kitsap County. A contract helicopter was on standby but the weather never cooperated enough for it to reach the search location. About 3:00 this afternoon, one of the search teams made brief visual contact, from a distance of about half a mile, with two individuals who matched Tyndall and Dale’s description and seemed to be in good condition on the lower Paradise Glacier. Due to the steep terrain, it took several hours for the search teams to circle around to the location, and deep, fresh snow slowed progress to half a mile per hour with searchers trading off to break trail. Attempts to locate or contact the individuals proved unsuccessful. The search was called off for the day about 7 p.m. as night, weather, low visibility, increasing avalanche danger, and dangerous terrain made continued efforts dangerous and unproductive. In early May, a team of cave explorers, led by Derek Bristol of Colorado, climbed over 410 feet into a high dome in Lechuguilla Cave, which is a system that is part of the Carlsbad Caverns National Park in New Mexico. Upon reaching the top, lead climber James Hunter discovered a maze of previously unknown passages, pits and large rooms, which they called collectively, Oz. One large room measured 600 feet long, 100- 150 feet wide, and 75-150 feet tall was called Munchkin Land. Lechuguilla Cave is known worldwide for its large rooms, unusual minerals, massive and fragile cave formations and importance in scientific study. Since mapping began in 1986, explorers have surveyed over 134.6 miles of cave passages in Lechuguilla Cave. Because of its delicate environment and scientific importance, only about 100 people, usually vetted explorers and scientists, are permitted to enter the cave every year. 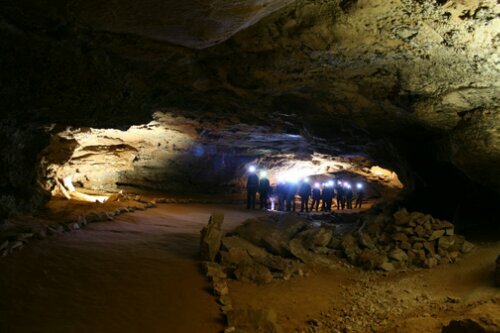 Ten cavers from Colorado, South Dakota, New Mexico, California and Arizona participated in the eight-day underground expedition that made these discoveries, the greatest amount of distance added to the survey in one day since 1989, according to the National Park Service. Called the Kansas Twister, the dome was discovered in 2007 as having the potential for further exploration, but a team in 2010 failed to climb beyond 80 feet because the rock walls were too unstable. For comparison, the Kansas Twister is about half the height of the Chrysler Building in New York City or the John Hancock Building in Chicago. Or for those who have visited the Big Room in Carlsbad Cavern, the Kansas Twister is about twice the height of the Spirit Room Dome, 255 feet high. Most of this newly found section of Lechuguilla Cave is in a layer of rock called the Yates Formation, which is made up of deep red, orange, and yellow colored rock but has fewer stalactites and stalagmites. Other exploration teams will continue mapping this year, but the next trip to “Oz” will be in 2013. Geologists or microbiologists may seek permits to study or sample in the uniquely pristine environment. In junior high, one of the works we read was an account of Floyd Collins’ journey into Sand Cave. For those who aren’t familiar with the tale, Collins was a spelunking pioneer in Kentucky and is credited with discovering holes around the Mammoth Cave area. In 1925, he followed some mist coming from the ground and apparently stumbled across a large cavern, but in the way out, his leg became pinned. He was the subject of a large rescue effort that involved tunneling down parallel to the cave over a number of days. In English class, we took turns reading pages aloud, stumbling over the big words while learning about cave exploration. This was where I first heard about the wedging needed to work through the narrow passages, sliding into tight holes headfirst with arms at the side, not really crawling so much as inching along propelled only by toes, mostly in complete darkness and not really knowing what’s ahead. And if the tunnel is a dead end, having to back out the same way because there is no room to turn around. It was a feeling I soon became familiar with while squeezing into caves around the Midwest. 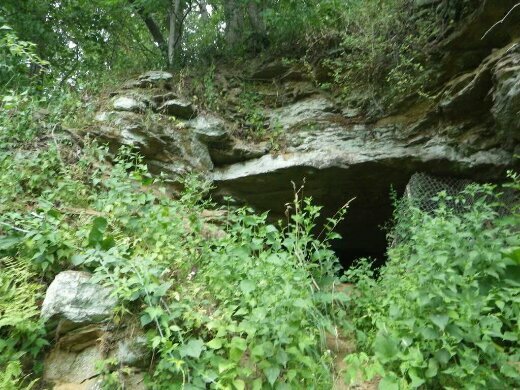 So it was with interest and a great deal of sympathy that I read about an Illinois man who became trapped in one of the caves at the recently re-opened Maquoketa Caves State Park this weekend. He was exploring the Wye Cave, which is one of the more elaborate tunnels in the park. Sure, the park has a few lighted caves, complete with steps and paved walkways and handrails. But for a genuine get-muddy, scrape-across-rock, bump-your-head, feel-the-earth-closing-in-around-you experience, the Wye Cave is the place to go. On our last trip there, years ago, Wye wasn’t listed on the photocopied map handed out at the park. It’s located away from the main valley that houses the majority of caverns, and it starts with a short climb straight down that empties into a large cavern. Poking around turns up a tunnel at the back that goes deeper into the ground. There are a few good squeezes, and a few smaller rooms before it forks. Both the left and right branches didn’t seem to go too far, but by that point, I wasn’t too eager to go much further. Getting back to this weekend, rescue crews pulled the Illinois man out after about a day underground. Floyd Collins wasn’t so fortunate back in 1925. Tunnelers reached him a few days to late. Below is the Iowa Department of Natural Resources release on this weekend’s rescue. MAQUOKETA – An Illinois man was rescued from a cave at Maquoketa Caves State Park after being stuck for more than 20 hours.The 20-year-old man, of Port Byron, Ill., was freed from the cave at approximately 3:30 p.m. Saturday after being stuck in a narrow passage of the cave since approximately 6:45 p.m. Friday night. A companion, a 20-year-old woman, also of Port Byron, Ill., had also been stuck, but she was freed at approximately 11:40 p.m. Friday. She was treated at the scene and released. Rescue workers from a number of different agencies throughout northeast Iowa worked continuously to free the man, including chiseling rock to widen the passage. He was given oxygen and IV’s while in the cave to prevent dehydration. He was taken by ambulance to Jackson County Regional Health Center. 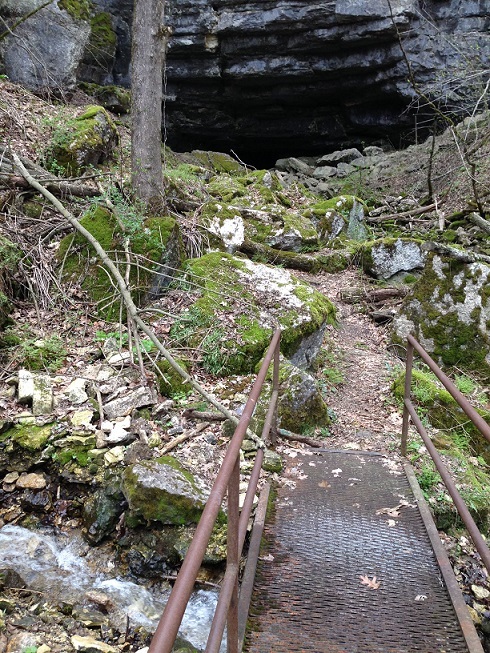 Other park visitors discovered two people lodged in Wye Cave Friday night around 8 p.m. They became stuck while crawling through a narrow part of the cave. The state park, four miles northwest of Maquoketa in Jackson County, features a variety of caves on its premises. Park goers are allowed to explore them, based on their ability and comfort level. 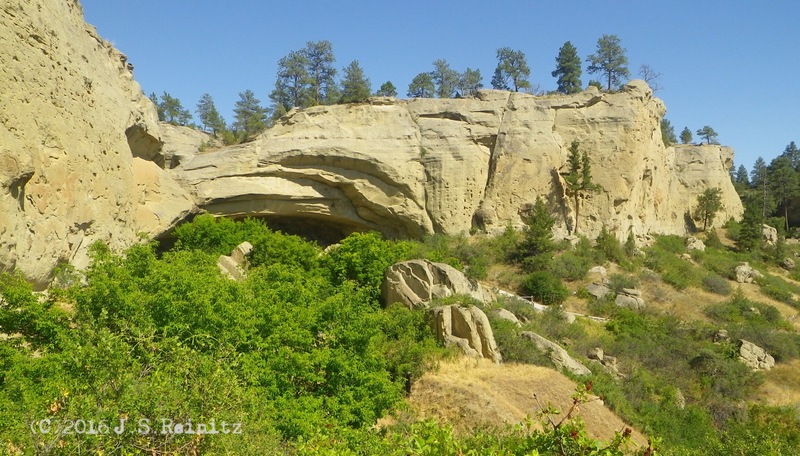 Wye (pronounced Y) cave is about mid-distance between the popular Dance Hall Cave and the park campground.